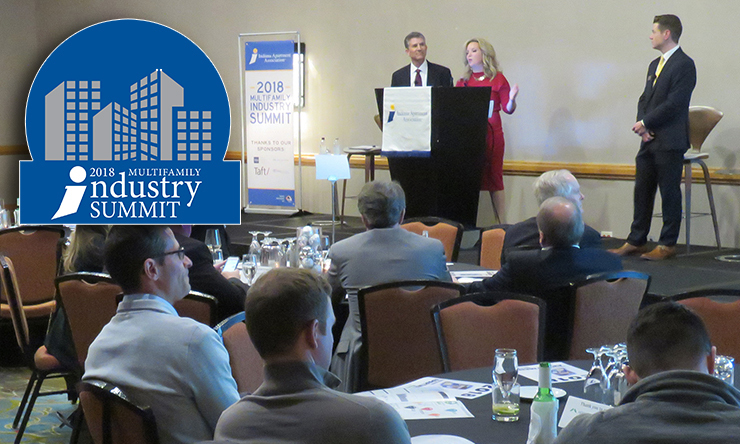 Executives, developers, regionals, and others invested in the Hoosier marketplace gathered on Nov. 29 for the 2018 Multifamily Industry Summit, which shares trends, tools, technology, and developments via fresh data from local and national experts. 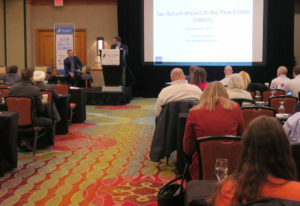 Nearly 200 industry decision-makers attended the popular annual event at the Indianapolis Marriott North to hear about the economy, demographic shifts, opportunity zones and affordable housing, tax reform, and more through several sessions. Better customer service is a primary goal of every team, and technology gains continue to improve the ability of property managers to provide better customer service while also adding new and unique challenges. 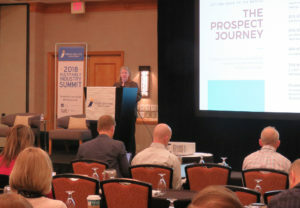 Becca Wilson, who had many years of experience in multifamily and property management before she founded technology marketing firm Spherexx.com, informed the 2018 Multifamily Industry Summit audience that some technologies are here to stay. Multifamily businesses need to adjust and adapt their websites, CRM software, leasing tools, and more to provide the outstanding and rapid customer service today’s renter expects. 81% of apartment shoppers visit the property’s website before contacting the office and 85% of shoppers use online reviews in their research, she shared. Prospective residents today expect an immediate response – less than 5 minutes — and recent data shows that multifamily has not improved response times significantly in the past decade. The rate of conversion drops 400% if this is not met, Wilson noted. In-house software solutions can bridge this gap. Popular IOT technology trends also will become necessary investments as they grow in demand, such as utility management, electric car charging stations, drone deliveries, parking solutions, and sound insulation. Wilson noted that “We’re not going to be able to get rid of humans,” as far as customer experience, and executives should plan long-range staffing needs accordingly. Lt. Gov. 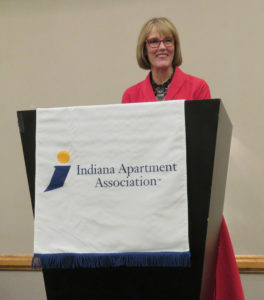 Crouch promoted the strength of Indiana’s economy in relation to housing growth, low unemployment, and lifestyle advancements. Indiana is first in the Midwest and fifth in the nation for strong business climate. Gov. 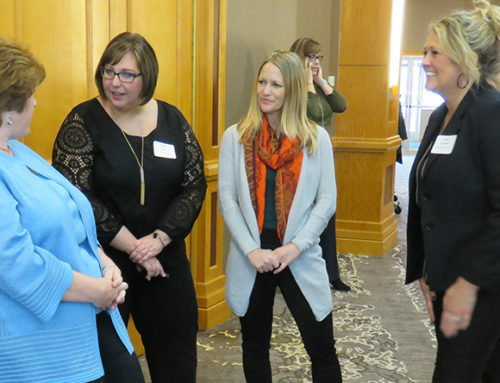 Eric Holcomb’s administration under its Next Level program is working to drive continued progress, particularly in lifestyle-business projects such as improved rural broadband access, new and expanded trail systems, and more trans-Atlantic flights. 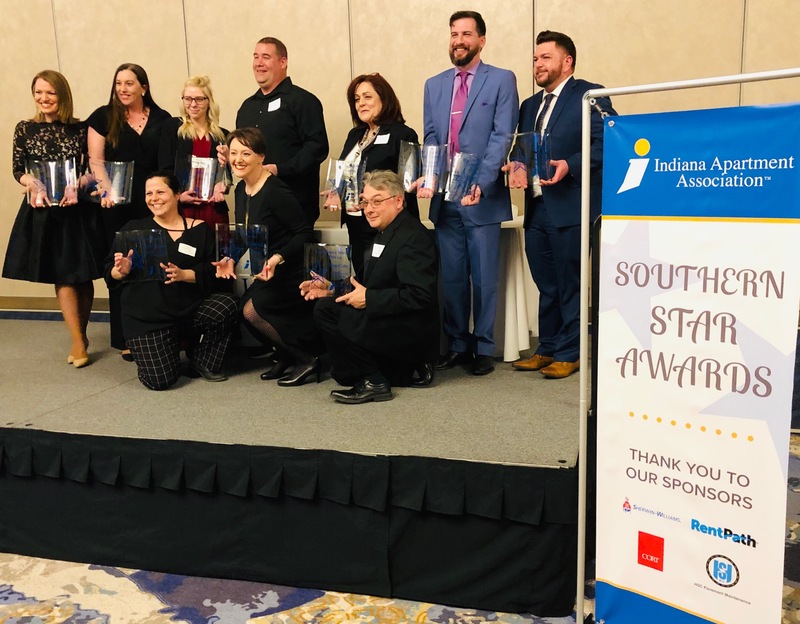 Crouch thanked the business owners and the association for supporting housing for Hoosiers and the pioneering pro-business spirit of the state. 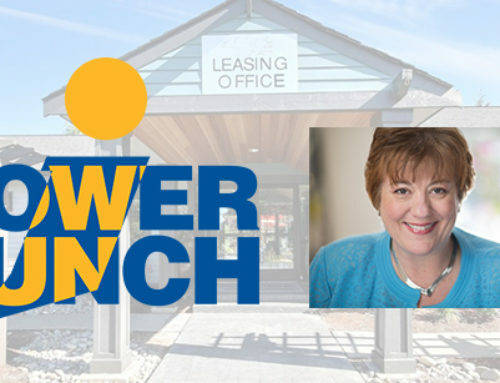 Crouch oversees a portfolio that includes Indiana Housing and Community Development Authority (IHCDA). This panel discussed recent local economic development successes and potential future growth opportunities in two cities in Central Indiana. Both have seen rapid growth in population and retail but have unique challenges in housing. 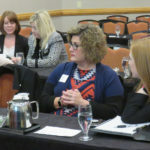 John Taylor, Economic Director with the Town of Avon, shared that the town’s proximity to the Indianapolis International Airport has facilitated recent growth, but Avon currently only has 2,200 apartment units. 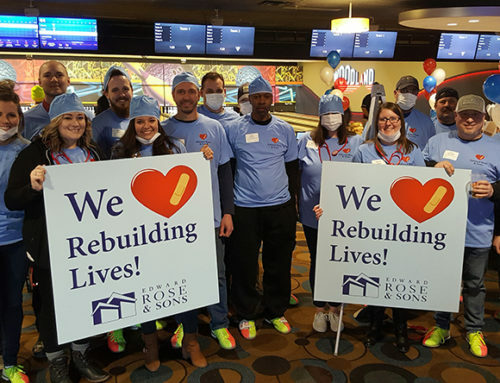 The town has proven retail success, including the highest performing Kroger grocery store in the region, but housing growth has not followed. Taylor hopes to work with developers to create market rate and affordable housing in the near future, including promoting support from within the town’s government. 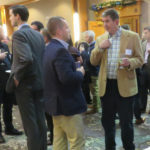 Alex Crowley, Director of Economic & Sustainable Development with the City of Bloomington, outlined several major developments coming up in the growing college town, including the largest single development – an IU Health facility – in the city’s history, which in progress now. Median rents have skyrocketed in the past 10 years, but income growth has not caught up, leaving Bloomington looking to catch up, Crowley said. The city’s Uniform Development Ordinance is under review and will be reconfigured in 2019. 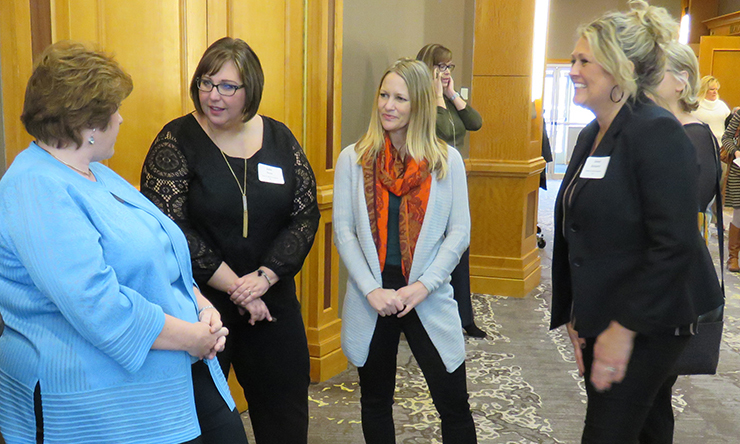 Both municipalities hope for housing growth and wish to create new business partnerships within the multifamily industry. Katz, Sapper & Miller Partner Chad Halstead discussed intricacies on the most sweeping overhaul of the U.S. tax code in more than three decades, 2018’s Tax Cuts and Jobs Act. Among the biggest updates were the corporate rate being reduced from 35% to 21%, which could diminish the value of the housing credit for investors and reduce investment in housing credits. In general, under the previous tax law, taxpayers were entitled to fully deduct business interest expense, but the new law may limit these types of deductions. There are a few exceptions to the limitation, most notably for taxpayers with gross receipts that do not exceed $25 million. Halstead discussed the reform’s 20% Pass-Through Deduction, which generally means companies structured as an S corporation, partnership, sole proprietorship, or trust will be permitted to deduct up to 20 percent of qualifying business income resulting in a top federal tax rate of 29.6 percent. C corporations are not eligible. Halstead shared various other changes in the new law and how they affect the real estate industry more than others and some tools designed to facilitate housing investments, such as the Opportunity Zones initiative. The new federal government initiative designed to promote development in under-served areas is drawing interest from multifamily investors. Opportunity Zones are designed to incentivize investment into low-income communities. The Treasury Department recently unveiled important rules for investors seeking to finance developments under the program that were reviewed by presenters Matt Kaercher, Senior Vice President with Merchants Capital, and Frank Hoffman, Partner at Ice Miller. 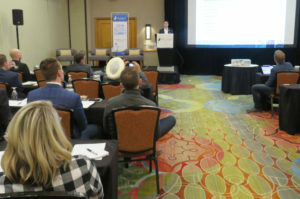 Kaercher opened with an update on debt, equity, and alternative financing to ensure attendees were informed when making strategic decisions. Conventional bank loans continue to be the most popular financing option, but housing GSEs are offering new products that might boost some projects. Market home prices are outpacing wages over the past 10 years, making home ownership continually less affordable, he shared. Demand level for affordable and mid-level apartment units is expected to remain strong. 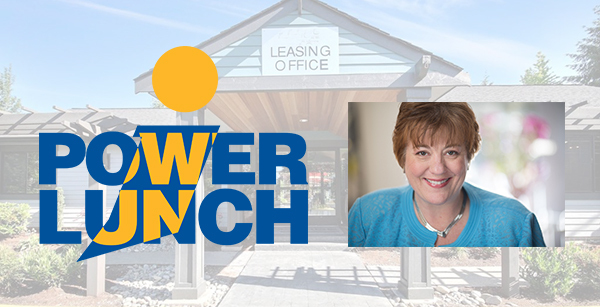 Kaercher reiterated the importance of developers participating in the Davis Bacon Wage Survey that is ongoing through May 31, 2019. Electronic forms and instructions are available at https://www.dol.gov/whd/programs/dbra/wd10/index.htm. Continuing the most popular topic of the day, Hoffman delved further into the Opportunity Zones initiative’s impact on Indiana. The state has 156 total zones, with the highest concentration in downtown Indianapolis. The poverty rate in Indy has grown by 80% since 2000. The need for affordable housing in the targeted areas is strong and growing. Other locations with a large Opportunity Zone presence include Fort Wayne, Lafayette, Bloomington, Merrillville, and Evansville. For information and an Indiana zone map, visit: https://www.in.gov/gov/2979.htm. How’s business? Booming. 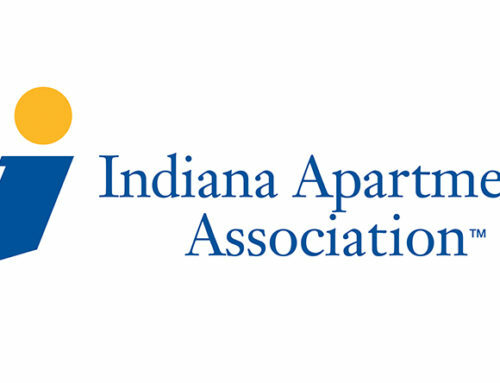 The Indianapolis MSA has seen solid growth in 2018, according to the 2018 Multifamily Industry Outlook. 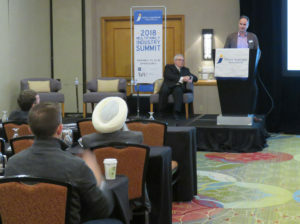 The annual panel presented by Tikijian Associates provided an overview of occupancy, rental and sales trends, economy, and employment data throughout Indiana. Average rents are up 4.5% in the past year. 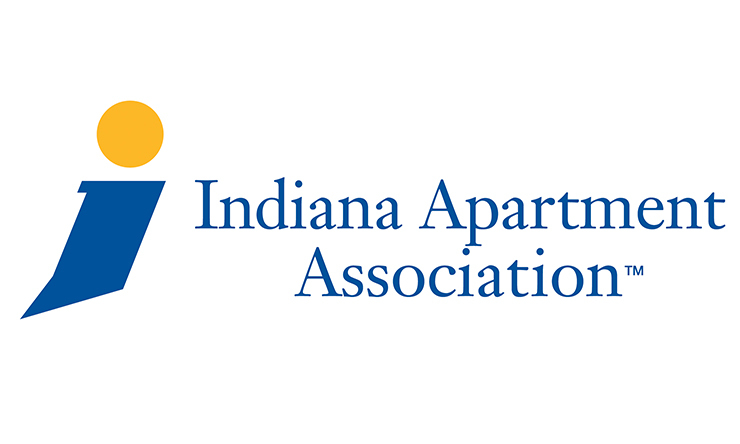 More than 12,900 apartment units will have changed hands in the Greater Indianapolis market by the end of the year, up 3.8% over 2017. 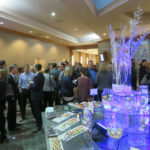 Development continues to be facilitated by locally owned companies instead of national builders. 1,712 units have placed in service so far in 2018, but double that is expected to come online in 2019 based on building permits issued. The session ended with the Tikijian Associates team announcing its merger with national firm Cushman & Wakefield. 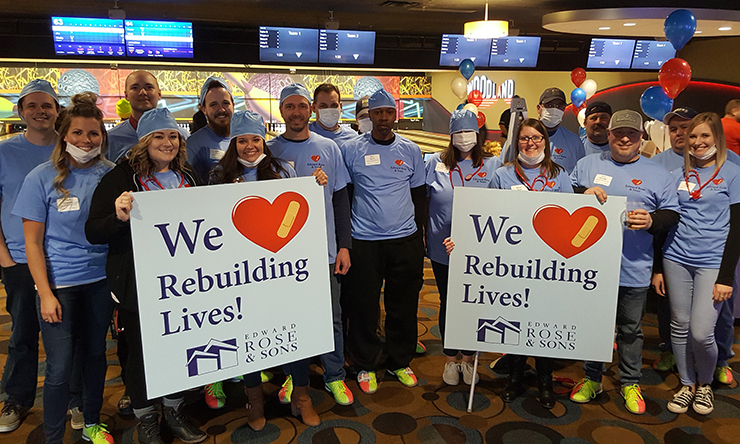 Thank you to our sponsors Merchants Capital; Katz, Sapper, & Miller; Taft; and Tikijian Associates!